Last year one of my husband's outdoor soccer teammates contacted me to purchase a gift certificate for his wife. The cool part was, he didn't realize who I was until after seeing our family picture on the blog bio. What a small world...Love when that happens! This fall I had the chance to get to know them all with our session at the Dallas Arts District. What a great family! 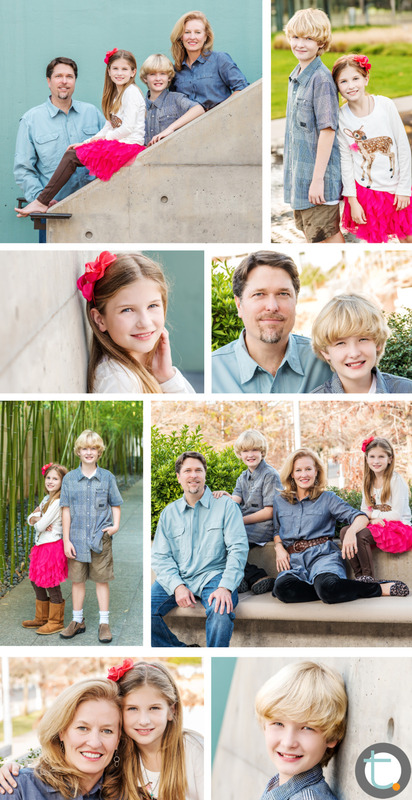 Contact Tracy to book your family session for 2013!